The canterano, who celebrates his 18th birthday on Monday, had been cited by the National Team coinciding with the first leg against Lazio. Sevilla have made public the confirmation that the squad Bryan Gil will not go with the national team under 19, which had called him for two friendly matches on 12 and 14 against Azerbaijan and Scotland. Machín wants to count on Barbate's attacker in the first leg of the 32nd round of the Europa League that Sevilla will play against Lazio on Thursday and therefore will be on the squad that will travel to Rome. Although it has not yet been started, Machín it has already used it in the last minutes of several of the matches that have been disputed this 2019. 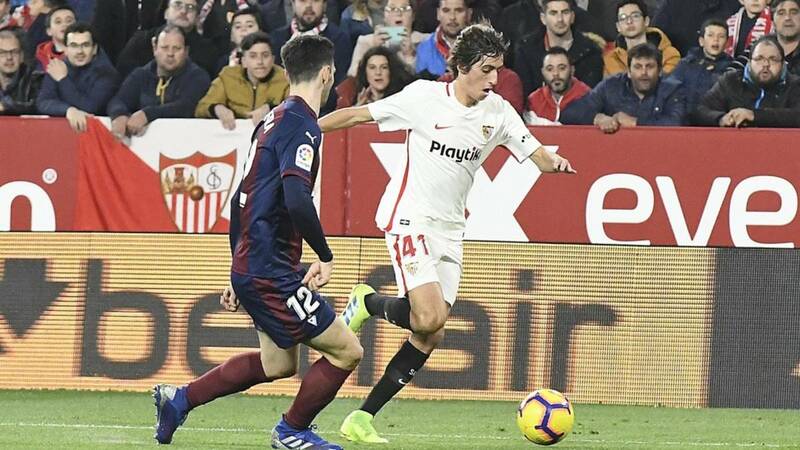 The last one, on Sunday against Eibar, when it was the last change and where it had a decisive action so that Sevilla could recover a point in the discount . Bryan Gil also celebrates his 18th birthday on Monday.